Hello and happy weekend hope all is well with everyone. 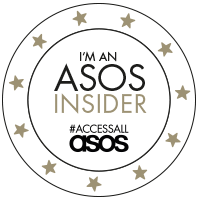 If you saw my post yesterday you will know that I had a little spend in the ASOS sale that was on earlier in the week, so today I present to you the t-shirt that I also nabbed in the sale! For awhile now I have been looking around for a good plain t-shirt so when this one was reduced to £9 I decided to snap it up. The only thing I have found (and this may be because I have a short torso) is that is longer on me than I expected but I can live with that as if I wear t-shirts over jeans I like them to cover my tummy. The trousers are from Primark and as of yet I haven't actually worn them as I can't decide if I like them, I think maybe I should have gone for the leggings in this print instead but never mind! 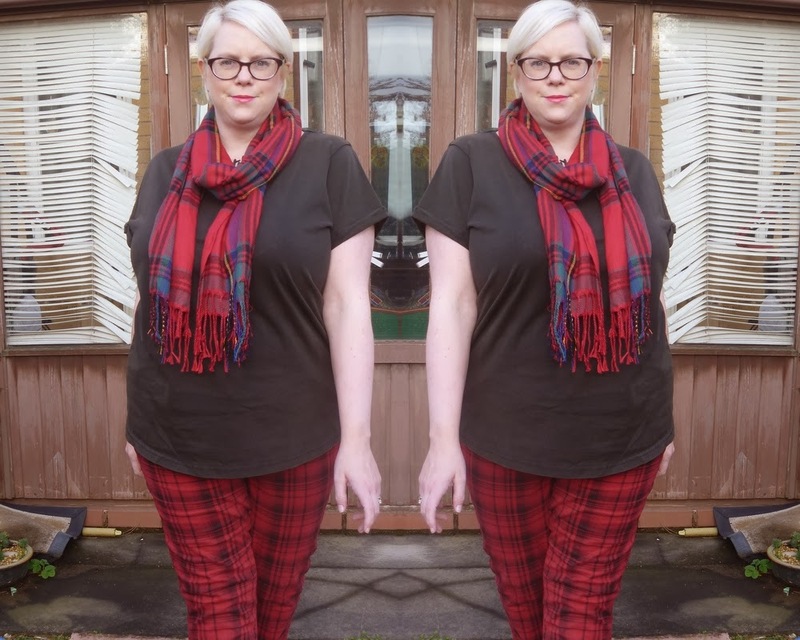 The scarf is also Primark and I thought I would go for full on tartan overload with this outfit!!! The boots are of course my current faves from New Look! Like I say I am still undecided on the trousers they may well end up on Ebay as I am not totally convinced they are me!! Do you have clothes you have bought but are unsure of?